Claims from a former soldier that an SAS team had been on standby ready to intercept the sniper that day but had been ordered to stand down, emerged six years later in the media. The province’s police ombudsman, Nuala O’Loan, later concluded that the killing could not have been prevented – not because the snipers had not been under surveillance but because not enough resources had been devoted to the task that day, despite a raised threat level. Within months of his killing, the Provisional IRA announced its second ceasefire, paving the way for the Good Friday Agreement and the road toward arms decommissioning. In the intervening years his death has been the subject of intense controversy, amid claims that it could have been prevented and that he was deliberately sacrificed to save an informer. But his parents, John and Rita, from Underwood, Notts, have been staunch supporters of the peace process, even facing criticism for doing so. That support has been tested to the limit. 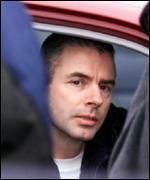 When Bernard McGinn was convicted of the killing in 1999 he was sentenced to a total of 490 years in prison. McGinn who has since died was captured by an SAS unit which raided a farmhouse in South Armagh three months after the Restorick murder. He was arrested along with a number of other key members of the Provisonal IRA’s South Armagh brigade during the security operation. After his arrest McGinn confessed to his role in the IRA’s bombing campaign in England during the late 1980s and early 1990s. He also handed over the names of other IRA members during interrogations with the police. McGinn admitted to police that he made explosives north and south of the border on an almost daily basis, “like a day’s work”. His information on other PIRA operatives provided vital intelligence for the security forces and caused anger among his former comrades. He was sentenced to a total of 490 years in 1999 for 34 separate offences, including the murder of three British soldiers, his involvement in the 1992 bombing of the Baltic Exchange and the 1996 South Quay bombing, and the bombing of Hammersmith bridge later the same year. However, he was released in 2000 under the Good Friday agreement after the IRA and loyalist paramilitary prisoners were granted a de facto amnesty for all crimes relating to the Troubles before Easter 1998. He joined the Provisional IRA at the age of 15. His father was a former Sinn Féin councillor and he was the brother-in-law of Sinn Féin politician Caoimhghín Ó Caoláin. McGinn was found dead in a house in the Irish Republic on 21st December 2013 , the Garda Síochána has announced. McGinn is believed to have died from natural causes after being discovered at the property in Monaghan town on Saturday. The parents of a young soldier shot dead by the IRA in Northern Ireland yesterday made a painful pilgrimage to the spot where he died. John and Rita Restorick fought back tears as they laid flowers by the checkpoint outside the military base at Bessbrook in South Armagh where their son, Stephen, was murdered last month. Clutching each other’s hands tightly, they placed their floral tribute among dozens of others left by local people. They were accompanied on their journey from Peterborough by their other son, Mark, 26, and eight uncles, aunts and cousins. Lance Bombardier Restorick, 23, of the 3rd Battalion Royal Horse Artillery was killed by a single shot fired at long range by a hidden sniper as he manned the checkpoint. The Restoricks were escorted by their son’s commanding officer, Lt Col Matthew Sykes, and Battery Commander Major Mark Vincent. Afterwards, inside the heavily-fortified base, they attended a service to dedicate a marble memorial to Stephen. McGinn was born into an Irish republican family in Castleblayney, County Monaghan, Ireland. His father was a former Sinn Féin councillor and his brother-in-law, Caoimhghín Ó Caoláin, has been a Sinn Féin TD for Cavan–Monaghan since 1997. In 1978 Dessie O’Hare and McGinn killed Thomas Johnston, a former member of the Ulster Defence Regiment (UDR) in Keady, South Armagh. In 1979 McGinn was arrested at a disused farmhouse and charged with possession of explosives. He failed to turn up at his trial and was sentenced to 10 years imprisonment in absentia. After several months on the run, he was arrested in Dundalk following a 27-hour siege, during which he held a family hostage with a pistol and a hand grenade. McGinn was released from prison in 1987, and joined the IRA’s South Armagh Brigade. Initially viewed as an outsider, within several years he became a trusted member of the brigade, helping assemble bombs used by the IRA in England. He was a member of one of two sniper teams which killed nine members of the security forces between 1992 and 1997, including Lance Bombardier Stephen Restorick, who was killed by a single shot from a Barrett M90 sniper rifle on 12 February 1997, and was among the last British Army soldiers to be killed during The Troubles. McGinn and other members of the sniper team were arrested by the Special Air Service at a farm near Crossmaglen on 10 April 1997, and taken to Gough Barracks in Armagh for questioning. During a week of questioning, McGinn confessed to his role in the IRA bombing campaign, and implicated more than twenty members of the South Armagh Brigade in attacks in Northern Ireland and England. He claimed to have manufactured explosive mixes varying from between 200 lb and 10 tons, and said it was “like a day’s work”. On 19 March 1999 McGinn was sentenced to a total of 490 years imprisonment for 34 separate offences, including the murder of three British soldiers, and involvement in the 1992 bombing of the Baltic Exchange, the 1996 Docklands bombing, and the bombing of Hammersmith Bridge later the same year. He laughed at his sentence, knowing that he would be freed, at most, in shortly over a year under the terms of the Good Friday Agreement. Two months after his conviction McGinn was temporarily released on compassionate grounds to visit his sick mother, which caused anger and consternation among unionists. 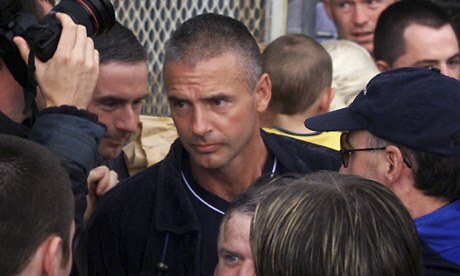 On 28 July 2000, McGinn was freed from HM Prison Maze, after serving 16 months. On 5 October 2000 McGinn’s convictions for explosives offences and the soldiers’ murders were overturned at the Court of Appeal in Belfast on the grounds that he was not properly cautioned before he confessed. The court, however, dismissed his appeals against convictions for conspiracy to murder and firearms possession for which he received a twenty-year sentence at his original trial. McGinn was found dead at a house in Monaghan Town on 21 December 2013. The cause of death remains unknown, pending a post-mortem examination.